Indeed, the period of Lunar New Year celebration seems to be a season to showcase chefs' creativity, and the team behind Xin Cuisine Chinese Restaurant at Holiday Inn Atrium shall show you theirs through their festive dishes specially crafted by Executive Chinese Chef, Chan Shun Wong. 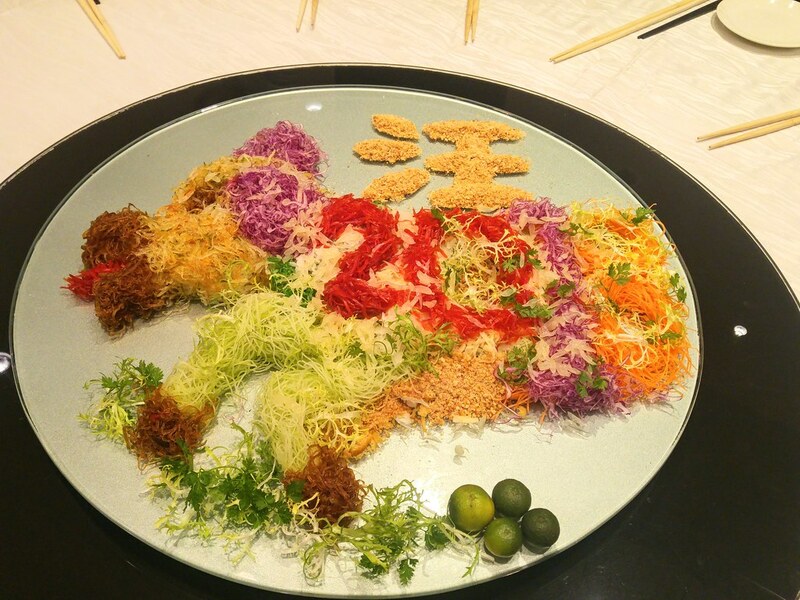 While the ingredients of the Yu Sheng stay more or less the same, Chef plays on the dressing. Gone is the usual dense and sweet plum sauce and what replaces is a all natural, tangy Passion Fruit Yogurt Dressing. Yu sheng that has a slight tang and refreshing on the palate before a feast is always delightful and I feel Chef has managed to achieve that successfully. Foie Gras, being such a strong ingredient, can easily overpower others if the dish is not done right. However, when paired with Xin Cuisine's signature BBQ Suckling Pig, the result is surprisingly outstanding. 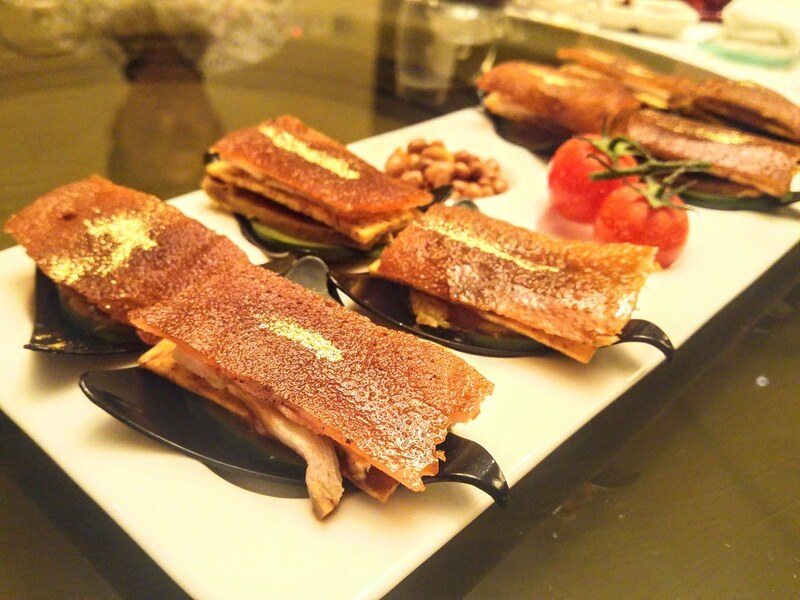 The thin layer of foie gras underneath the crisp pig skin is almost like a layer of that luscious fats under a well roasted duck skin. 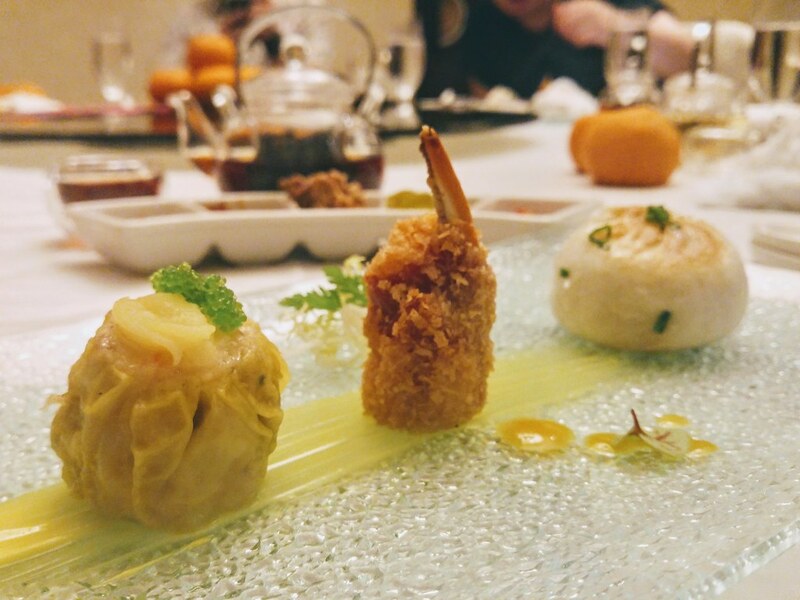 If you are in for a afternoon celebration, do have a go at their Festive Dim Sum Selection created by Dim Sum Chef Cheung Kin Nam. I'm not a dim sum person as I always feel I'm eating the same meaty filling that disguised itself in different skins. What I love about this festive selection is that I get to try three meaty snacks that stand out from one another. You get a Steamed Pork Dumplings with Truffle, Pan Fried Motel Mushroom & Pork Paste Bun and a Deep Fried Crab Claw Dumpling with Fish Roe wrapped in bacon. My favourite is the pan fried pork bun for its juicy filling and chewy bun. Somehow, the Asian part of my palate tends to call for a wholesome bowl of rice after all the meats and dishes. The Fried Fragrant and Brown Rice didn't disappoint with its dried-out yet chewy texture, flavourful with roast pork, diced shrimp and crunchy peanuts. 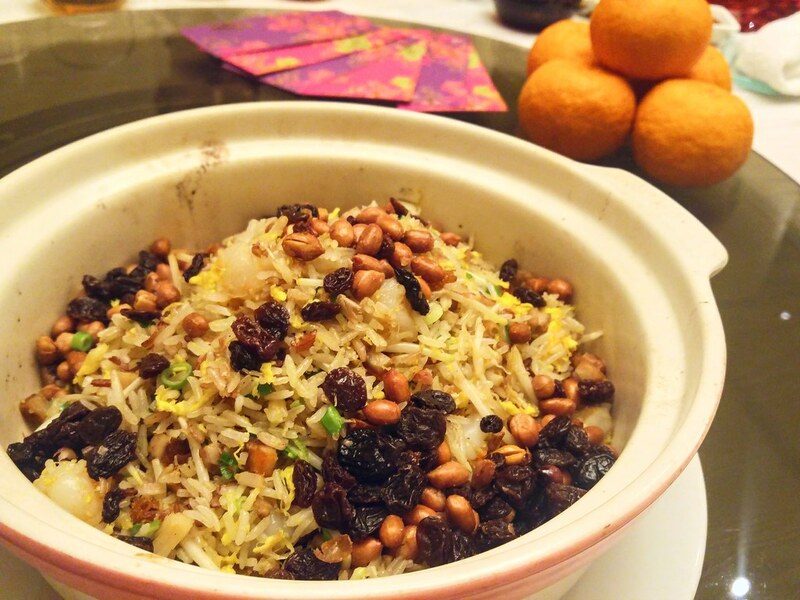 The sweetness of the raisins balances all the savoury components of the dishes. Dessert is Xin Cuisine's latest creation D24 Durian Nian Gao, made with real durian flesh, accompanied with Lemongrass Jelly with Lime Sorbet. While it has a nice gooey texture, I still very much prefer the traditional nian gao taste. 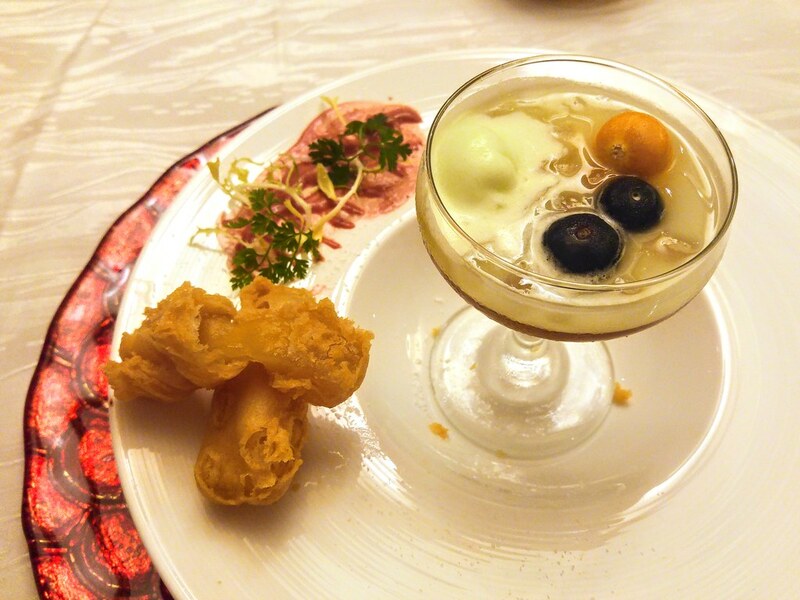 If you really love it, the D24 Durian Nian Gao is also available for takeaway ($58). At Xin Cuisine Chinese Restaurant, there are 8 special menus available from 12 January to 3 March 2018 to usher in the Year of the Dog. 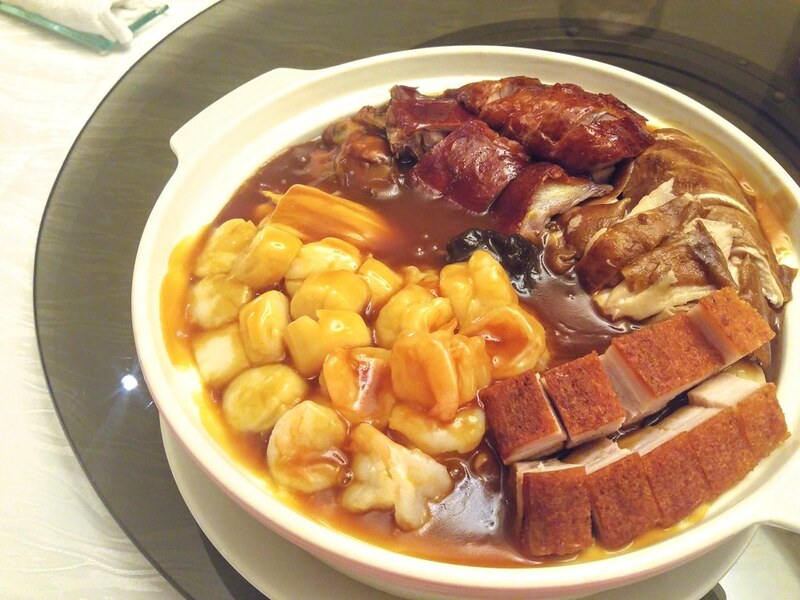 Private room menus start from $1,298++ for 10 persons. For enquiries and reservations, please call 6731 7173 or email xin.sinhi@ihg.com. Words and photos by Si An. A girl who is allured by travelling, loves the feel of freedom, smell of the rain and the aroma of fine coffee and food.